OREGANO:ONE OF THE MOST FLAVORFUL HERBS﻿, WORLDWIDE! Oregano is a natural Mediterranean herb that is used not only in cooking, but also in medicine for thousands of years. It adds a strong and spicy flavor, and it may have several health benefits and anti-bacterial properties, as it is believed to contain potent antioxidants. 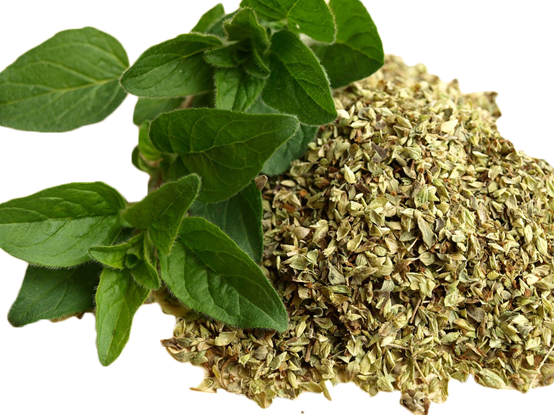 Oregano was used in herbal medicine from the Ancient Greeks and the great Hippocrates used it as an antiseptic. Oregano can be grown from seed or cuttings, but commonly, it is suggested to obtain plants grown from cuttings. Harvesting can begin just before the plants are ready to flower, then the cut stems should be hung in a cool, dark and dry place for at least a month in order to give us intense taste. Our dried oregano comes from the Greek mountains, and it is called “true oregano” because of its excellent, strong flavor. It is hand collected and dried only by natural processes. It has excellent aromas, rich flavor and intense taste. As a result, it upgrades all the dishes with the most appropriate way. Greek oregano is used in a variety of dishes and sauces because it suits excellent with all the meats, the fishes and the vegetables! The best way to keep it fresh and yummy is in a glass jar that allows all the aroma intact well. Next Greek Feta Cheese: One of the world’s most protein – rich cheeses!